← 20 years in the UK today… Looks like I’m here to stay! Today it’s my great pleasure to welcome the one and only Jennifer M. Eaten as she celebrates the release of her latest masterpiece, The First Day of the New Tomorrow. Take it away, Jen! You can trace this back to Voltaire. Yep, that far back. In 1817, a member of UK parliament actually said that the phrase had become cliché. Cliché? Maybe that’s because it can be applied to so many things, and it’s great advice, isn’t it? She backed up until she reached the door. Without turning, she fumbled for the handle, and a rush of hot air hit her as she pulled it open. Maya raised her hands as the sting of hundreds of tiny pebbles thrashed her face. She peered through her fingertips and squinted into the blinding rays of a low-hanging sun. The cascading sunbeams warmed her cheeks and illuminated the outline of a figure that looked a lot like the Sphinx in Egypt. She gasped and choked on air riddled with blowing sand. He appeared beside her, and she allowed him to close the door. Sweat poured from Maya’s brow as the room instantly cooled. She nodded, terror constricting her from any other movement. Edgar turned the handle and pushed. The secretary looked up from her computer, her eyes narrowed. He smiled, waved, and closed the door again. Numbness crept from Maya’s toes and up her legs. She stumbled as he led her back to the chair. Wow, is she in for a wild ride or what? Can you imagine? Anything she wishes for can happen. But let’s remember what Stan Lee advises… There’s always a catch. What about you? Have you ever faced a responsibility you weren’t sure you were ready for? 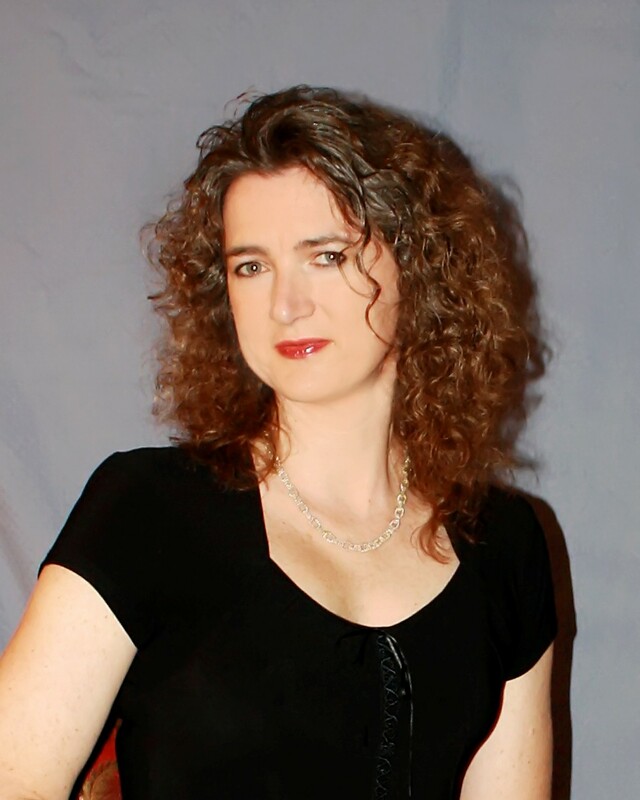 Jennifer M. Eaton is a contemporary blender of Science Fiction, Dystopian, and Romance. 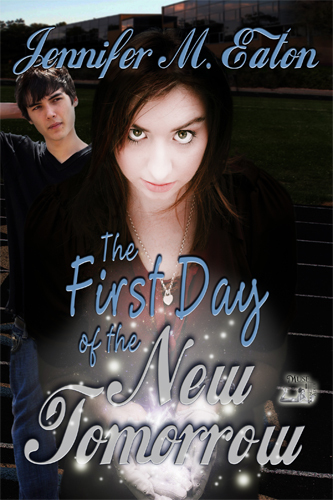 Her work ranges from the sweet contemporary romances of Paper Wishes, to the dystopian society of Last Winter Red and Optimal Red, with a dusting of young adult paranormal just for fun in The First Day of the New Tomorrow. While not off visiting other worlds, Jennifer calls the East Coast of the USA home, where she lives with her wonderfully supportive husband, three energetic boys, and a pepped up poodle. Her contemporary sweet romance, Paper Wishes is currently available in ebook format. The Dystopian novelette “Last Winter Red” is available as part of the “Make Believe” Anthology. Each title is available from Amazon.com and Barnes & Noble.com and Smashwords. Paper Wishes: Jill has no idea what she wants for Christmas, but when it looks like her best friend Jack is going to get exactly what he asks for, Jill makes a Christmas wish that will change both of their lives forever. Last Winter Red: In search of a husband, Emily leaves the safety of the city and risks her life stepping into the outside world. What she finds there will question the foundations of everything she believes in. Available as part of the Make Believe anthology. Wow, thanks, Jennifer, for a fabulous post. Over to you! Have you ever faced a position of tremendous responsibility that, perhaps, was a tad overwhelming? I’ll take the lead and tell you mine. Which was: taking my first child home for the first time, me and my husband on our own. Complete newbies to the parenting thing. Completely clueless. Terrified. Overwhelmed. It was an awesome moment, and one I’ll never quite forget. A tiny life, depending on me. I’m not sure there’s ever going to be a greater responsibility, LOL! This entry was posted in CentreStage and tagged CentreStage, Dystopian, Fantasy, Jennifer M Eaton, The First Day of the New Tomorrow, Young Adult. Bookmark the permalink. Thanks for having me Nicky! I’m willing to take on any responsibility. However in doing so I’ve learned I need to be able to fess up if something goes awry and be willing to accept the consequences of my failed attempt. Responsibility must be taught while we’re still young. With that said, I’ve got to leave a musical interlude which can be used to teach children this concept. Jennifer the best of luck with your latest endeavor. Thanks so much Robin! I’m willing to take on anything as well, but recently I’ve had to force myself into the practice of saying “no”. Unfortunately, unlike Maya, I do not have super powers, and I burn out. Robin, you really are the most amazing resource of songs. WOW! I’m quite blown away. Thanks for stopping by and showing Jen your support. You rock! Hi! Thanks for stopping by and for your lovely comment. I agree, The New Tomorrow sounds totally intriguing! And… Isn’t it weird? You get nine months to prepare, you figure you have it all sorted out in your head, and then it’s the little things that completely throw you. Long live motherhood!